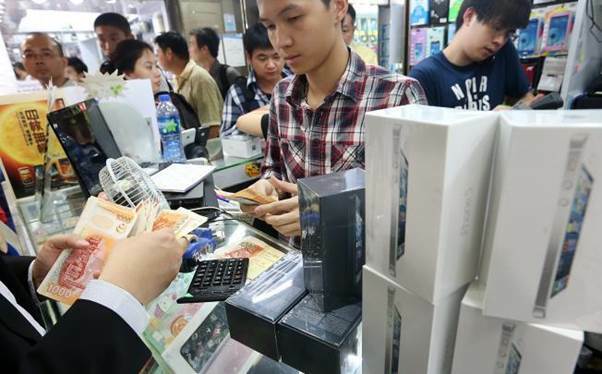 Buying an iPhone 5 has not been the easiest of tasks for some. It’s been more than just choosing the right tariff but also considering the right service provider. From the moment Apple announced its new device, it became clear that only by moving to one specific telecommunications company could users benefit from the wonders of 4G. When Apple decided to adopt 4G for its latest generation of handsets, it choose to stick to just one type, the 1800 frequency, which is only going to be used by Everything Everywhere (EE). While this is the largest network on the UK, consisting of Orange and T-Mobile, it is, at the same time, one in the eye for rivals O2 and Vodafone, both of which are pretty sizeable too. This state of affairs has come about because of a highly contentious go-ahead by Ofcom, which allowed EE to launch 4G this year. It means its 27 million customers will potentially benefit from speeds that are up to five times faster than 3G. It will allow iPhone 5 users on its network to consume data at speeds comparable to Wi-Fi and a solid home broadband connection. It will be available in 16 cities across the UK before long. What made things worse for O2 and Vodafone was the revelation that the iPhone 5 will not work on their networks. Although Three will be using the 1800 frequency, neither O2 and Vodafone will, and that’s because EE stole a march on them. O2 and Vodafone will be bidding for 4G spectrum in an upcoming auction by Ofcom, but they’ll be going for 800MHz and 2.6GHz, neither of which match the iPhone 5’s spec. 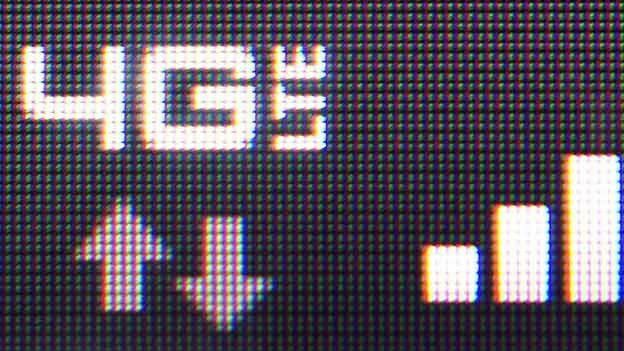 It’s gets a little more confusing in that Orange and T-Mobile customers won’t be getting 4G until they move to EE, but that’s set to be a simple step. What’s ironic about this is that the EE merger was formed in 2009 as a consequence of 02 having bagged the exclusive rights to the iPhone in 2007, a business move that made the latter the number one provider by quite some way. When it was given the go-ahead for 1800 4G, Apple updated the iPhone 5’s entry on the GSMA database to show that it would support the system. All device makers are required to register their handsets in this way and it would, after all, be daft not to support the 4G that is due to come in first. And yet, for all of the messing around working out whether to extend a contract with a non-4G provider and trying to secure PAC codes from reluctant telephone companies (I was on hold for 45 minutes with O2 and got a barrage of incorrect information in a bid to persuade me to stay with it), the advent of 4G in the UK has got to be a good thing. Ultimately, faster speeds is what everyone wants from their connections. The sheer horror of seeing an Edge connection pop up on a handset is testament to that. For those who do not know, 4G stands for ‘fourth generation’. It’s the very latest data network for mobile phones, which is not only great for consumers but also wonderful for the UK Treasury too, since the next spectrum auction is set to raise as much as $7.2bn. It’s into this auction that Vodafone and O2 will plunge as they attempt to gather up enough bandwidth to be able to launch their own 4G services. However, things aren’t moving fast enough for these two, given that part of the spectrum they’re trying to grab a slice of is actually being used for digital television. Efforts are being made to clear the space, so that they can be sold as mobile spectrum, but that’s not likely to be completed until September 2013. EE is clearly laughing, but there’s still much to cry about. For a start, the UK is hardly at the forefront when it comes to top mobile speeds. Within Europe it lags behind. Considering Europe lags behind America and some Asian countries, that’s not a good place to be. The problem, also, is that governments have to be involved - hence the bumper pay day for the Chancellor - because the specific radio spectrum is owned by the authorities. The licensing of it is controlled by them, so it is sold for various purposes, which is why the waters are so muddied. It’s also sold to the highest bidder and there’s a problem with that. Consider that amount of money again: $7.2bn. It’s a whopping amount, isn’t it? But just like the West Coast Mainline was sold according to how much extra cash First Group was going to bring to the government’s coffers above Virgin Trains, so too the spectrum needed for 4G is going to ensure hands dig deep into pockets. The last time we faced this position was in 2000 when the UK grabbed $36bn for the spectrum. At that time, Britain was top of the tree when it came to mobile, and its telecom companies were beating European equivalents. The five winners were TIW, a US-Canadian company backed by Hong Kong conglomerate Hutchison Whampoa, and the four companies that ran mobile phone services in the UK at that time: BT Cellnet, Orange, One2One and Vodafone Airtouch.